What is Mexican Independence Day? While Cinco de Mayo is commonly mistaken as Mexican Independence Day, the two are most certainly not the same. The holiday celebrates the Grito de Dolores (“the Cry of Dolores”), when a priest named Miguel Hidalgo y Costilla rang the bell of his church in the town of Dolores and delivered a speech on the morning of September 16, 1810, calling the Mexican people to arms against their Spanish rulers. Over a decade of war later, the territory known as New Spain achieved its independence as the Mexican Empire on September 28, 1821. Although it was the general Agustín de Iturbide who led the Mexican army to victory, Hidalgo is still considered to be Mexico’s Father of the Nation. Mexican Independence Day is marked by an assortment of parades, concerts, and other patriotic displays. On the eve of the holiday, the Mexican President always re-enacts the Grito by ringing the same bell Hidalgo rang from the balcony of the National Palace in Mexico City. When is Mexican Independence Day 2019? Mexican Independence Day is celebrated every year on the 16th of September, commemorating the 16th of September, 1810. The easiest way to celebrate Mexican independence day is to fly the Mexican flag—whether you live in Mexico City or Missouri. Mexicans will tune in to the presidential reenactment of El Grito, which occurs at 11 PM. Many schools and businesses are closed on the 16th of September. The Cry of Dolores has been celebrated since 1812, as a commemoration of Father Hidalgo's famous speech. The Mexican people officially participate in in “The Cry of Dolores” every September 15 at 11 PM–but the following day they have less formal parties. 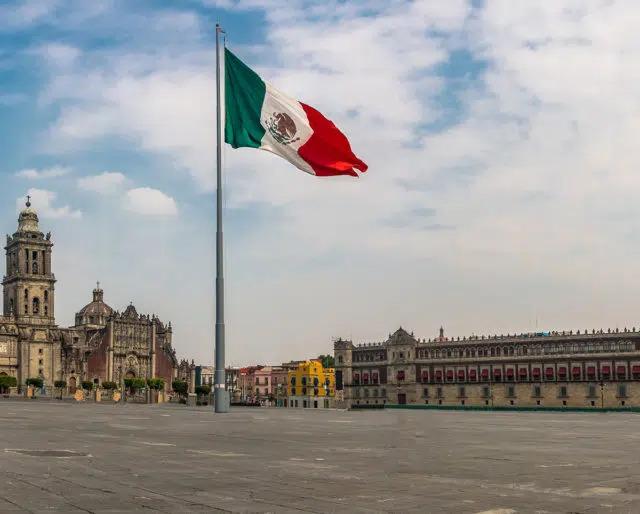 Every year the current Mexican president will ring the bell of the National Palace in Mexico City, and then reenact the original cry, ending the speech with with ¡Viva Mexico!